Colombo, April 13 (newsin.asia): The 16 rebel Members of Parliament belonging to the Sri Lanka Freedom Party (SLFP) headed by President Maithripala Sirisena, are on the way to forming an alliance with the Joint Opposition and Sri Lanka Podujana Peramuna (SLPP) leader, Mahinda Rajapaksa. Quitting the government and sitting with the opposition are preliminary steps towards the goal, which is to become part of the anti-government group led by Rajapaksa. Explaining the rationale, a reliable source said on Friday, that formally quitting the SLFP and joining an opposition party would lead to their being unseated. They would therefore remain in the SLFP officially but would, in reality, function as part of the opposition currently led by Rajapaksa (albeit not officially). 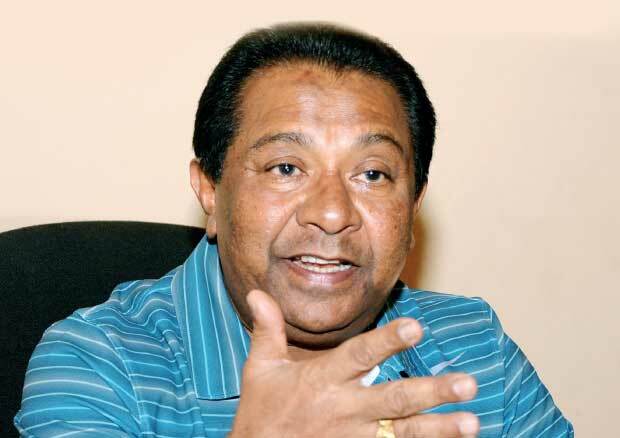 When elections come in August 2020 or earlier, if the parliament is dissolved and mid-term elections are called, the rebels would formally join the SLPP and fight under the charismatic Rajapaksa. Rajapaksa’s SLPP had swept the local bodies elections held on February 10, leaving the SLFP and its governmental ally, the United National Party (UNP) led by Prime Minister Ranil Wickremesinghe, far behind. In other words, the rebels, in association with the SLPP, will work to get parliament dissolved, and thereafter, jointly fight the elections which would follow. The sixteen SLFP Ministers and the Deputy Speaker who voted in favor of the No-Confidence Motion (NCM) against Prime Minister Ranil Wickremesinghe on April 4, stepped down from their posts in the National Unity Government from on April 11. They told the President and SLFP chief Maithripala Sirisena that they could not work with Wickremesinghe in view of ideological and political differences. Sirisena accepted their resignation and allowed them to sit in the opposition on the condition that they support him from the outside, rebel MP Thilanga Sumathipala said. But the real intention of the rebels was not to give blanket support to Sirisena but to take the first step towards joining the Sri Lanka Podujana Peramuna (SLPP) led by former President Rajapaksa. Since the local bodies elections, the movement in the SLFP to join forces with SLPP and oppose the UNP, had become strong. This culminated in the SLFP dissidents supporting the No Confidence Motion against Wickremesinghe on April 4. Even the rest of the SLFP MPs, numbering 25, were not for Wickremesinghe. They abstained, indicating that the anti-Wickresinghe sentiment in President Sirisena’s party is widespread. This scenario makes the functioning of the SLFP-UNP coalition government difficult. With the accretion of 16 MPs, the opposition will be more vocal and strident in parliament from now on till the dissolution of parliament, which may happen in August 2020 or even earlier if parliament is unable to function due to sharpening political differences. The 16 SLFP MPs who resigned, included cabinet ministers, State and Deputy Ministers and a Deputy Speaker. They are: Susil Premajayantha, Dayasiri Jayasekara, Dilan Perera, John Seneviratne, Lakshman Wasantha Perera, Dr.Sudarshani Fernandopulle, Tharanath Basnayake, Susantha Punchinilame, Anura Yapa, S B Dissanayake, Lakshman Yapa Abeywardena, Chandima Weerakkody, Anuradha Jayaratne, T.B Ekanayake, Sumedha Jayasena and Thilanga Sumathipala.